We strive to offer the best customer service and superior communication throughout our processes. 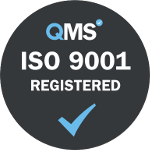 This international standard gives the requirements for what the organisation must do to manage processes affecting the quality of its products and services. It does this through the creation of a Quality Management System. 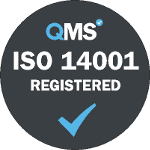 This accreditation fits within the ISO 14000 family and focuses on various aspects of environmental management. They provide companies with tools to identify and control their environmental impact and improve their carbon footprint. Each section of these accreditations focuses on a different aspect of the environment such as life cycle analysis. Information rights, promoting openness by public bodies and data privacy for individuals are all focuses of this UK independent authority. The Data Protection Act 2018 (GDPR) requires every data controller (eg organisation) processing personal information to register with the ICO. We offer our support to Investors in People who are the UK’s leading people management standard. They specialise in using people to transform business performance. Here at Pearl Scan, we actively support and encourage employees to meet the needs of business and optimise their future employability through gaining skills and qualifications. This approach is supported by The Skills Pledge.